You are here: Home / branding / Do lawyers need branding? Do lawyers in Sydney need anything other than their competence and licence to practice? Technically no, but in the age of information and competition, is that enough to get you clients? Back in ye olden days before the internet, lawyers would list in the yellow pages. When a person needs a lawyer, they would look at a bunch of names and phone numbers and randomly call one that sounded most appealing. You just needed an official sounding name like “Wolfram & Hart – Attorneys at Law,” and you’re set. What do lawyers look like now? Times are different now. Clients have the luxury of visiting you and a dozen of your competitors across the greater Sydney area from the luxury of their bedroom. They will judge you by how you look, and decide whom to call first. 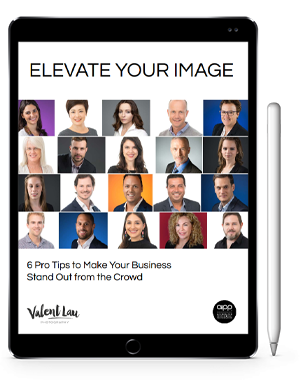 Professional headshots Sydney is one way you can stand out in this sea of lawyers. Lawyers, like all professionals, need to appear competent and capable. On top of that, you may want to evoke the words confident, knowledgeable, friendly, understanding, and many others – at the right time. It is being able to use the right expression at the right moment that puts you ahead of the competition. You definitely don’t want to appear stiff, blank, disinterested, nervous, uncomfortable, or angry. All this boils down into a trust factor. Does your profile build enough trust that the client has the confidence to give you a call? Does your firm exude consistency? The most important factor for law firms of all sizes is consistency. Consistency signifies stability. Stability implies competency. Photographs are but one piece of the puzzle, but an important piece. According to research by 3M, visuals are processed 60,000 times faster than text! Any inconsistency will subconsciously push away potential clients! This means capturing all your staff in a repeatable way, so that they all exude the same qualities. Whether they’re in Sydney or elsewhere, it needs to be consistent. As you grow, new members fit in to the team like they have always been there. You are busy professionals, so we make it easy by first understanding your market and then planning an effortless photographic session at your location. We set up professional lighting at your location anywhere in Sydney. We are very good at putting people at ease, so there is minimal downtime for your staff. The setup is repeatable, so all future shoots look exactly the same. We can come regularly to photograph new staff, and everything will look like it came from the one session, perfectly consistent and reliable. Isn’t that the image you want to convey to your audience? Valent Lau Photography provides Professional Branding & Website Photography at your business location. Contact us now and let us help you discover how you can show off your brand. Valent had very kindly accommodated me even under short notice. During the shoot, he handled it professionally but still made me feel at ease. Overall, I had a great experience and would definitely recommend him.